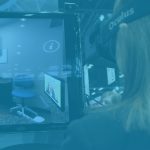 According to recent projections released by Grand View Research Inc., virtual and augmented reality in the health care market will swell to become a $5.1 billion industry by the year 2025. There are a rapidly-growing number of applications for this exciting technology in healthcare as a whole, as well as many intriguing developments for both patients and practitioners specifically in the dental space. 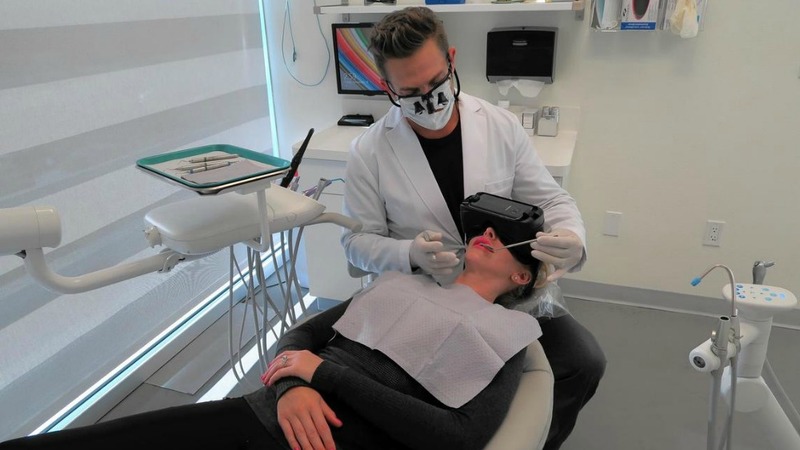 Here are 8 ways virtual reality could transform your dental business! Like many dentists, Dr. Mark Olson of Mark Olson DDS in Newport Beach, California, offers sedation medication for patients that feel anxious in the chair. Unlike many dentists, however, Mark also offers a tech-savvy alternative to pharmaceuticals. He outfits patients with virtual reality headsets programmed to “transport” patients to a tranquil beach or a soothing sunset scene, helping them harness the power of the mind. A group from the Interactive Visualization Lab at the University of Minnesota is working to make this sort of treatment widely available, building tranquil 3D environments that replicate the experience of sitting next to the ocean or lying beneath a starry sky. A sensor even detects your heart-rate, which is interpreted as a measure of your current state of relaxation. You can take a look at their progress in the video above. 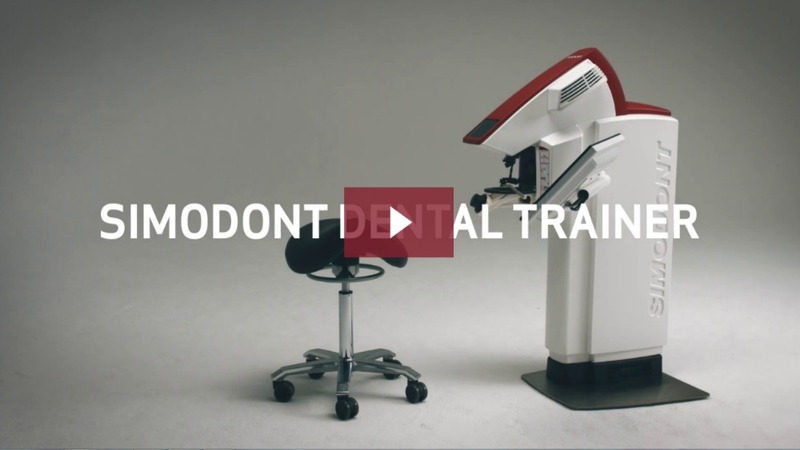 A company named MOOG has created cutting-edge dental training units which feature Haptic technology and deliver an incredibly realistic virtual reality simulation of dental procedures. These units are already being used at dental schools throughout Europe and Asia, and in 2014, the University of Pennsylvania’s School of Dental Medicine became the first dental school in North America to integrate this technology into its curriculum. The benefits of the units are significant, and include increased efficiency, a more productive and objective way for instructors to monitor student performance, and an endless variety of patient cases and tooth pathologies. In fact, students are able to select a virtual “case study,” complete with a patient photo, background, patient history, and treatment plan! Imagine being able to take a stroll through your dental practice, even before you dig a hole or swing a hammer. Patterson office design uses the latest in virtual reality technologies to immerse you in a virtual environment that represents real life, and makes you feel as though you’re truly exploring your dream practice. Design choices, which all can be changed with the push of a button, include building size and layout, specific pieces of equipment and technology, and even color finishes on flooring, cabinetry, and wall coverings. We know that many of our customers may only invest a handful of times in their practices, so this experience provides the benefit of allowing them to make the right decisions then and there for very little cost, versus once the space has already been constructed. As one of our customers put it, “It’s as close to tangible as you could possibly get.” Visit our office design page to learn more! Wisconsin-based company GMR Marketing is creating the kind of VR experiences that representatives say will soon become commonplace in health-related industries. They recently produced a “heart experience,” which uses virtual reality headsets to take users to a museum-like space with an anatomically accurate, beating heart in the center of the room. Users can consume educational facts about the heart, step inside its chambers, and see demonstrations of various heart conditions. This type of program demystifies medical processes that would otherwise be abstract for the average patient, granting them meaningful understanding of the way their bodily systems function. One could easily see how this would translate to dental applications – patients could learn why they feel the way they feel when they have a toothache, what would happen during the treatment process, and how the suggested care would alleviate their symptoms. 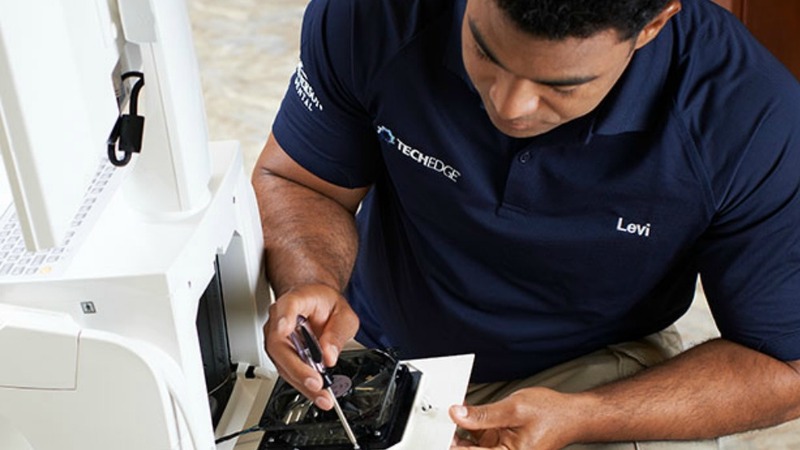 As much as you love your trusted Patterson TechEdge team, it would still be nice to cut down on in-office service calls, as well as the downtime that occurs when a piece of equipment is in disrepair. 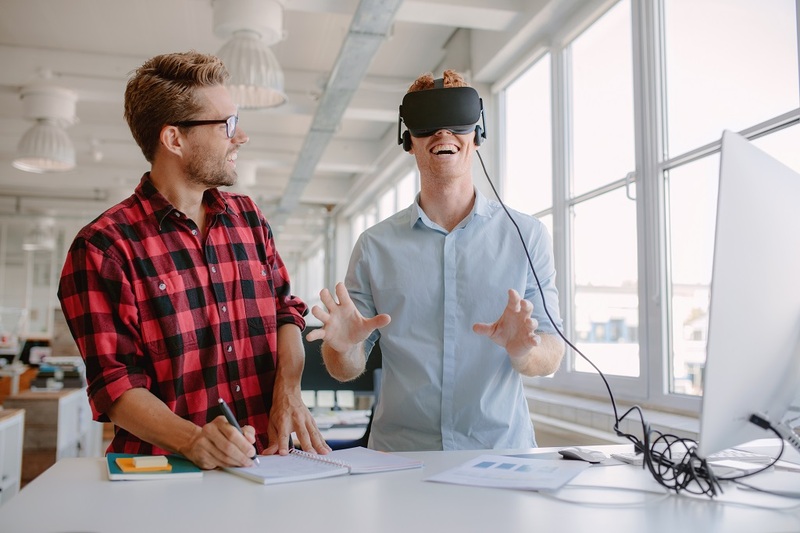 Augmented and virtual reality company Vuforia created a software which will utilize smart glasses that give lab technicians visual instructions for performing maintenance tasks. If the user needs to press a particular button on a machine, or clean a specific area, when the user is looking at the machine through the glasses, that part will light up and provide instruction. Hurry it up, Vuforia, we’re ready when you are! The best dental care stems from good communication between patient and practitioner, and the best communication requires the underlying concept of empathy. 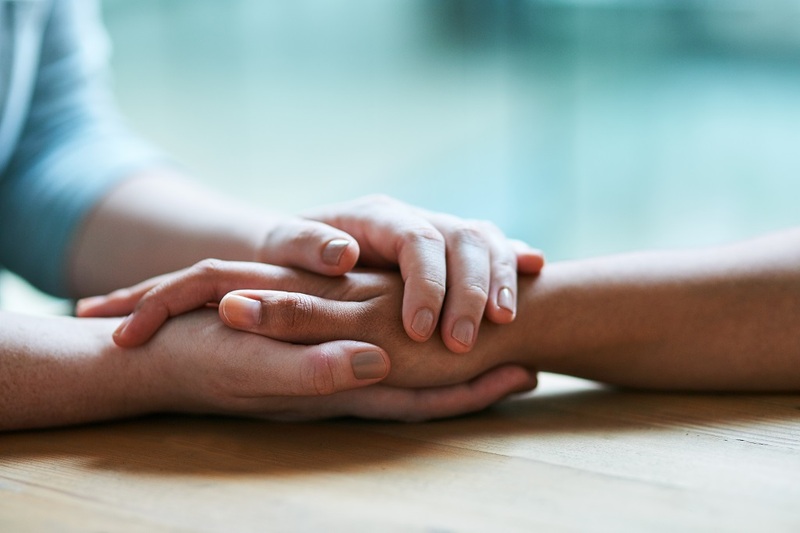 Not only does finding empathy with patients help them feel understood and respected, establishing this connection will allow you to form a consensus on treatment options, and increase patient compliance with their treatment plan. Enter virtual reality technology. Glasses are in development which simulate various conditions, including simulating visual field loss, or even glasses that when paired with a glove, simulate the inflammation of carpal tunnel syndrome. What dental professionals once could only glean from reading journals, they will soon be able to experience firsthand, truly understanding what’s happening in their patient’s body and how it is affecting them. At the 2015 International Dental Show (IDS), Nobel Biocare allowed visitors to experience the first dental surgery in virtual reality – through the eyes of the surgeon! The demonstration boasted an interactive, 360 degree view of the operatory throughout the procedure. Taking things a step further, virtual robotic surgery allows surgeons to operate on patients in a different location. As teledentistry continues to grow in both scope and success, it’s a definite possibility that we could see widespread adoption of virtual robotic dentistry in the coming years. This type of treatment could prove especially beneficial for patients in rural areas, patients in nursing homes, and others without access to more traditional care. Whether it’s dental anxiety (patients with a sense of uneasiness and exaggerated worries when their appointment draws near), or full-fledged dental phobia (those that are terrified or panic stricken with intense dread), it’s estimated that up to 15% of Americans avoid seeing the dentist because of these fearful feelings. Could virtual reality technology have an answer? Extensive research has shown that VR is indeed a highly effective method for treating anxiety disorders and related problems. 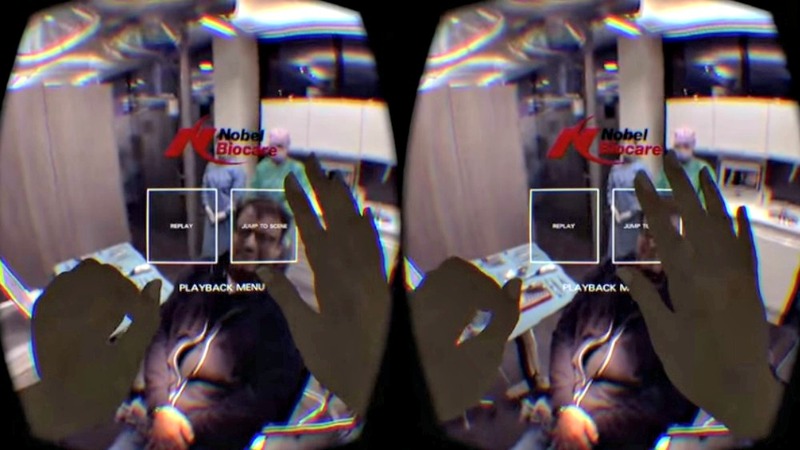 For example, Physicians from the University of Louisville use computerized virtual reality environments to create highly realistic simulations which safely and gradually expose patients to fear-inducing situations. Patients are coached on overcoming their fears and building effective coping skills, all while in a safe, private setting, which can be easily stopped or repeated. Currently treated issues include fear of flying, fear of heights, public speaking anxiety, social phobia, arachnophobia, post-traumatic stress disorder, and other common sources of anxiety. 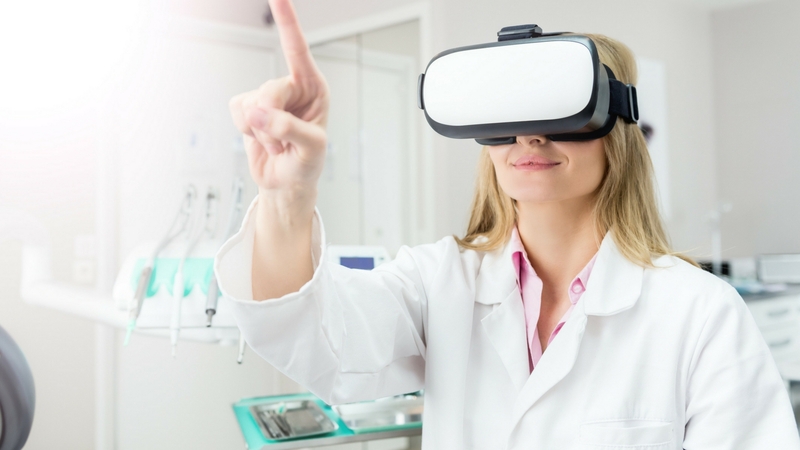 The development of commercial VR means that headsets are now more widely available, which will open up access to these already-developed therapies for many new patients. 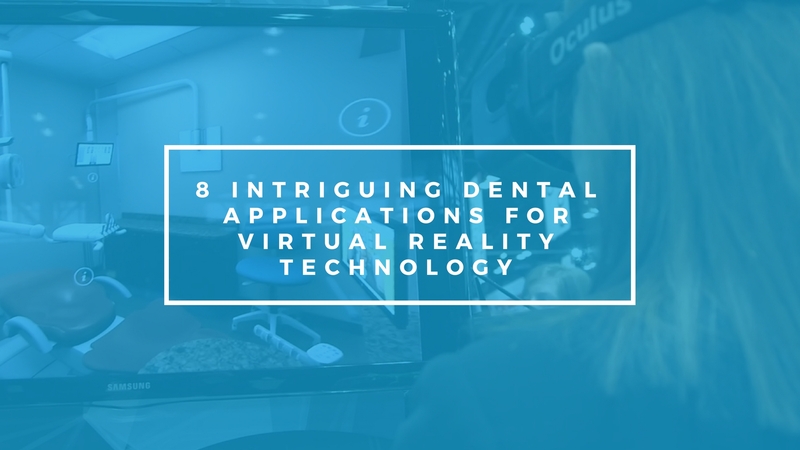 From virtually performed equipment diagnostics, to virtually performed surgeries, the dental applications for current and emerging virtual reality technologies are varied…and growing. What do you think? Do you have confidence in this technology, and look to “virtually transform” your practice, or do you plan to remain in “traditional” reality? We’d love to hear your thoughts in the comments section below!